One more month has passed once again. It is basically December and it feels weird to live somewhere with 25 degrees at this time of the year. It certainly feels nothing like winter nor Christmas. My friends and family are enjoying the temperatures around -2 and 0 degrees. There’s not much snow in Finland at the moment, it’s just wet and dark. That’s what global warming does on that side of the world, it takes our snow away. In conclusion, I am more than happy to be here enjoying sun, fresh mangos and avocados, and soon the beach in Diani. Last Saturday we took photos of the girls with the jewellery they made at beads class that day with Happiness. I must say, the photos are amazing! The girls are so beautiful and as a photographer, I am just so excited I got to capture that beauty! I have been working with my master’s thesis and on Thursday this week I went to a general meeting of The Girl Child Network with Happiness, in the hopes of getting some ideas and inspiration for my thesis. We were actually not aware that it was just a general meeting, so it resulted to be a bit boring for us, but I am still glad I went. 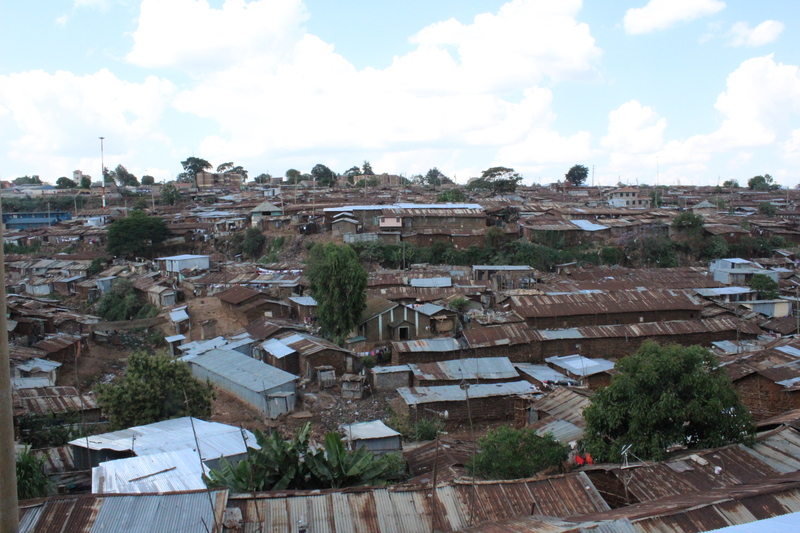 I got to know a couple of new people who are also working in organisations in Kibera. Also, I was invited to go see the Mr. & Miss Kibera competition next month. Since Happiness is the current Miss Kibera, and Evette became second in the competition, I am hoping to get to go with them and witness this year’s event. This week I also started working with the evaluation report. I have been collecting data on the goals that were set for the Wale programmes on dance, art and literacy for the year 2018. During the coming week I will be going through the newsletters and other documents keeping up with the different activities and events, to get a bigger picture on how the year has gone. In the end of the report, I will probably be working with updating the Wale website. I am already collecting photos and videos for that, and I am actually quite excited to be doing it later, since I am a visual and artistic person, so choosing materials for the website will be fun. Tomorrow our dance crew will be performing so it will be a bit of a different Saturday, a day outside the centre. I’m looking forward to documenting it with my camera!